Guest Lectures - Corporate leaders from various fields come and provide an insight into their experiences in their respective domains. Drishticone (A CxO Conclave) - A two-dayCxO level Management Conclave centred around a theme which is organised in the month of November every year. It is the flagship event of the Committee. It is a pivotal approach towards shaping the intellect of the budding managers, thus a parallel teaching methodology is adopted by the Institute during the course of the event. The days of the event is divided into sessions of Power Lectures, Panel Discussions, CxO Challenge and Business Quiz. Spectrum (An Interactive Workshop) - Prominent guests from the industry come down to the campus for interactive sessions with the students. Institute Day- It is commemorated in remembrance of the Founder, Late Shri Mahendra Nath; the committee undertakes the responsibility for its proceedings. Industrial Visits- CIC conducts visits to various Industrial units for on-the-ground experience of the corporate world. MICVV (Mock Interview Comprehensive and Viva Voce) - CIC plays an imperative role in conducting mock interviews for the final year students to give them a bird’s eye view into their final placement interviews. 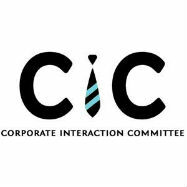 CIC has been successful in hosting over 50 corporate guests in the academic year 2016 - 17 coming from reputed companies like Indian Oil Corporation Ltd., Reliance Jio Infocomm, KPMG, Dell, Microsoft, PwC, World Bank, Amazon, Ernst & Young, Blue Star, Orient Electric, Vodafone, Magicbricks, Accenture and many more with an industry experience of more than 15 years.